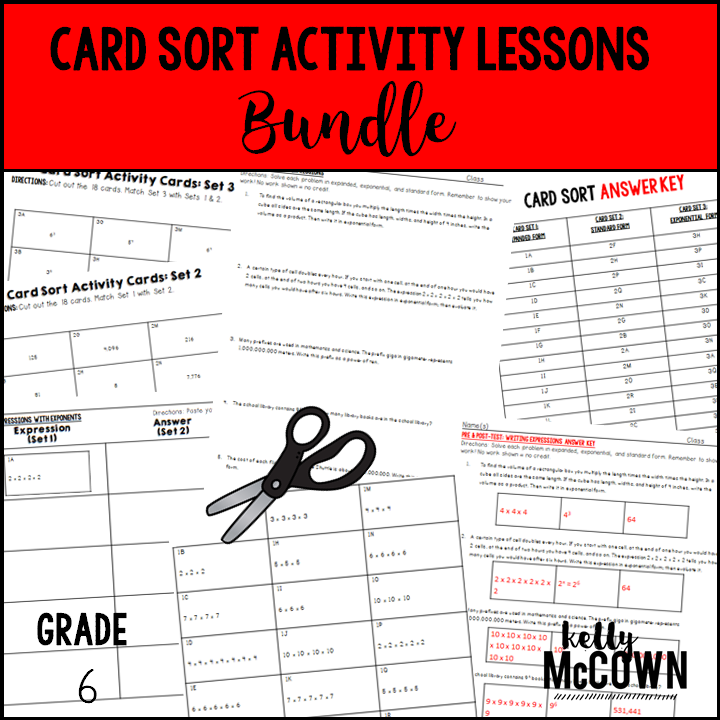 A GROWING bundle of 6th Grade Card Sort Activity Lessons and Cut & Paste Activities! This bundle is already huge! Over 200 pages of interactive grade 6 mathematics concept development that you can just print and use with your students! 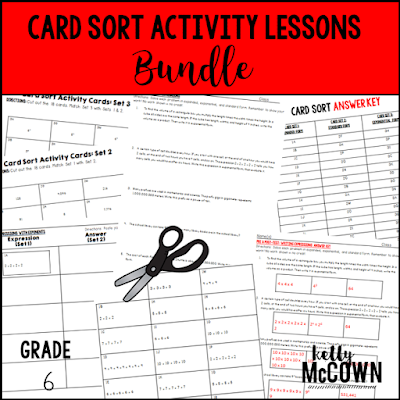 All Card Sort Lesson Plan activities include card sort lesson, cut & paste activities, assessments, and ANSWER KEYS! These activities are great to use with all types of students. Engaging all learners to actively look for answers in solving math problems and make sense of grade-level math concepts. All Common Core State Standards are covered in this bundle, which makes it easy to print and go at any time with your students! I hope your students all these cut & paste activities, assessments, and extension activities included too.